St. Barth is historically rich. Discovered by Columbus in 1493, and named for his brother, Bartolomeo, it was first owned by Sweden, then and now by France, and it embodies both cultures. Tiny by most people’s standards, it is popular with those who don’t mind spending money to get privacy and anonymity. Narrow roads wind along the mountainous terrain, offering dramatic views of spectacular beaches and the sea. Lazing in the sunshine on one of St. Barth’s 22 beaches is almost unavoidable. 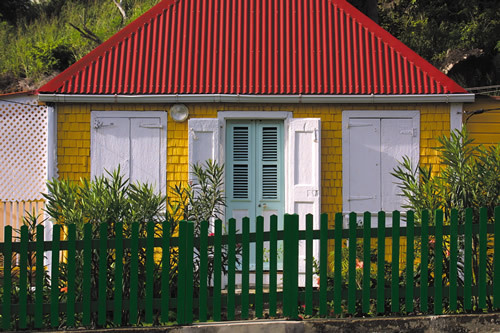 Its quaint towns and outstanding cuisine beckon, and shopping in Gustavia, the capital, is tres chic. No matter where you look or go, you’ll feel relaxed and rejuvenated by this beautiful Caribbean island. 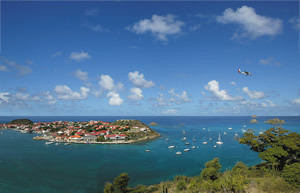 St. Barth is also a very popular day trip from St. Martin or Anguilla. Top hotels here include the Hotel Carl Gustaf; the Hotel St. Barth Isle de France; the Hotel Le Toiny; the Hotel Guanahani and Spa; and the Sofitel Christopher.